If the name Joe Adragna doesn't leap right out at you, it's because he's been recording for the past few years as The Junior League, with two fine discs under his belt. Now he's decided to claim his own name, and earlier this year he released a best-of the two Junior League discs titled Parlophony. 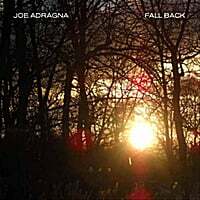 For his first Joe Adragna album proper he's taken a slightly more introspective approach from the Marshall Crenshaw-styled power pop of the League, enlisting the help of Peter Buck and Scott McCaughey, who need no introduction. The Buck/McCaughey influence is most notably heard on the janglicious "You're Gonna Die Alone", the disc's best track. Combining Rickenbackers and the vitriol of an Elvis Costello with a catchy melody (and featuring harmony vocals from Susan Cowsill), it's almost worth the price of admission alone. Along those lines, "Leave Me Resigned" also has that early-REM/Young Fresh Fellows feel, and the shuffling "Ladders" recalls Bobby Sutliff. It's not all fun and jangle, though. The moody opener "In a Place (Looking Around)" recalls Salim Nourallah with a slight touch of electronica, the laid-back, beautiful "Like Nothing Else" feels like comfortable clothes put on after a hard workday, and "Far Away" is an outright country weeper, complete with pedal steel. Adragna comes in for the finish with "Swezey's", a return of the jangle, the feedback-drenched "Depot Park", and the bright and breezy "Help, It's Strange", which is right in his sweet spot. The title track closes things out on a perfect note, a combination of regret, hope and those jangly guitars as it fades to a "bah-dop-bah" refrain. Adragna has really taken a leap forward here, and I can see why he chose to release this under his own name. Kyle Vincent and Tommy Dunbar of the Rubinoos are big San Fransisco Giants fans and in honor of the Giants' World Series win earlier this month, they've recorded "It's a Giant Party". It's a pretty good tune, unless of course you're a Texas Rangers fan. 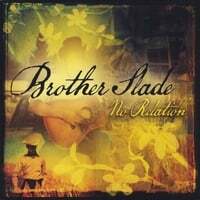 It's also available on CD Baby for download. David Mead was one of my favorite artists of the previous decade-plus, from brilliant albums like The Luxury of Time, Mine and Yours and Indiana, as well as one my favorite EPs of all-time in 2005's Wherever You Are. His output of late has been a little more erratic; I couldn't get into his side project Elle Macho and while Almost and Always (his last proper album from early 2009) had its moments, it was a bit too easy listening for my tastes (and that's saying something consider how much mellow stuff I like). Too bad Weezer beat him to putting Jorge Garcia on the cover; he would have been perfect for an album titled Dudes. The June-Green Fields and Rain. Rainbow Quartz has had a great second half of 2010, with new releases from the likes of The Volebeats, The High Dials, The Parties and The Gurus, but the cream of the crop is Green Fields and Rain, the sophomore effort from Parma, Italy's The June. This is a Grade-A mix of psychedelia and Beatles-pop not unlike some of Noel Gallagher's more poppier offerings in Oasis. The sitars and "Tomorrow Never Knows"-like opener "Feel the Sunshine" is a treat, as is the Merseyside pop of "Good News" (replete with a Beatles-like "oooo" in the chorus). "Pete on the Street" is an irresistible pop confection, and "I'm Looking Out" recalls "Strawberry Fields Forever", favorably. I'm not always the biggest fan of bands going blatantly retro, but these guys have the songs to back it up. You have my permission to swoon over The June. 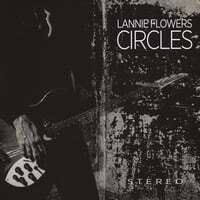 Lannie Flowers-Circles. A couple of years ago, Texas' Lannie Flowers released "Same Old Story" which was essentially a medley of 36 songs of about one minute each. It received a lot of love in the power pop community but didn't make my lists since it didn't lend itself to my preferred listening habits of shuffling the most recent two months of albums I come across. It was either listen to it all the way through to the exclusion of other stuff, or have one-minute out-of-context snippets pop up randomly in my playlist. It was more my problem than Lannie's, so I'm thrilled to report he's released a new album which consists of 15 proper 3-4 minute tracks. And the talent he showed in 60-second bursts has transitioned nicely to full-length songs as Circles is another year-end contender for me. The title track is killer power pop in the vein of Jason Falkner and Jim Boggia, "Turn Up Your Radio" will have you doing just that (assuming it played stuff as good as this), and "Not in Love" might just be the quintessential power pop track with its straight-up hooks and handclaps. Circle this one on your shopping list. Time for a shout out to the FDR label, the "other" power pop label from New Jersey (we all know and love Kool Kat). They don't release a high volume of discs, but the ones they do are usually really good, and the latest from NYC's Bastards of Melody is one of their best. 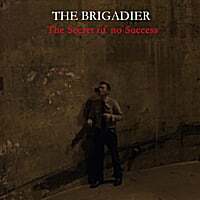 The Bastards have been kicking around since the late 90s, but this is their first release since 2003 and it's a gem. This is high-energy yet highly melodic, closer to the classic definition of "power pop" than most others. 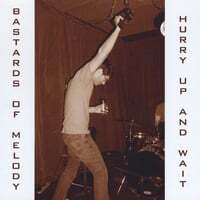 What makes Hurry Up and Wait closest to the power pop ethos is its brevity: 9 tracks spanning 30 minutes, with no filler or self-indulgent detours. The chiming, driving opener "Around You" gets down to business quickly, with its sing-a-long chorus and insistent guitar riff. "All I Want to Know" continues in this vein, with a bit of a Beatle sound thrown in (primarily in the killer bridge), and "Dream Jeannine" has a bit more retro power pop sound, recalling The Telepathic Butterflies. The laid-back "Flunkin' Out" allows the listener to catch his breath after the powerful opening troika with its effortless midtempo sound, while "Exit 10" and its "Getting Better"-like staccato beat and chipper melody is another treat. The guitars are out in full force again on "Cut and Paste", a Lolas, Cheap Trick-styled rocker, and "Gateway Center" is straight-up jangle pop not unlike their regional counterparts Smash Palace. And the boys send you home with the frantic pop-punk of "Unproductive" just in case you were thinking the proceedings might be on the verge of mellowing out. "Power pop like the way it was meant to be" could be the Bastards' slogan, as there's nothing inglorious about this excellent disc. 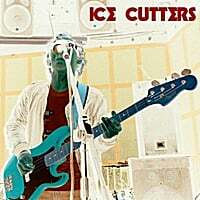 Ice Cutters-Ice Cutters.The Ice Cutters hail from Wales, and their debut disc is a fine survey of British pop and British-inspired pop. Every time I hear one of their tunes, I'm reminded of someone else, be it Crowded House, Oasis, The Pearlfishers, Trashcan Sinatras, you name it. Plenty to like here from the baroque pop of "Passion and Violence", the Teenage Fanclub-like "Carry the Dream Away", and the rocking "This is a Job". They also don't shy away from the social issues, tackling immigration in "Crossing the Border" and war in "When I Was a Soldier", without coming off too strident. A pleasant surprise. 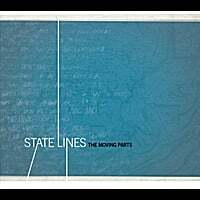 The Moving Parts-State Lines. The Moving Parts are led by Columbus, Ohio's Keith Jenkins, who released a pretty good solo EP in 2006 with the Parts as his backing band, but now the band comes front and center on the full length in another fine release of Midwestern-styled power pop/rock. You'll think of The Replacements, Goo Goo Dolls, and early Wilco when listening to this one, especially on the stellar opener "A Few Things", one of the better examples of this style you'll hear this year. "Disappearing Act" has the same kind of driven melancholy you'll find on Westerberg solo albums, while "Heartache vs. Disaster" adds some catchy Gin Blossoms-like melodies to the mix. Also make sure you check out "After I Confess", which has kind of a "big", Foo Fighters-type sound, and the relentless "Worth the Risk". A definite keeper. Bill Majoros a/k/a The Foreign Films gave us one of the pop masterpieces of the decade with 2007's double-disc Distant Star, and his long-awaited followup is nearing the light of the day. 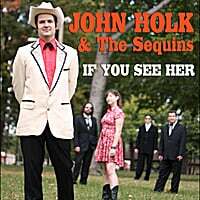 To give us a taste, he's released a free EP on Bandcamp that's a preview of the new album due in the spring. These four new tracks will certainly whet your appetite - "Fire from Spark" has the psychedelic majesty of Distant Star, "City of Bright Lights" has a New Pornographers-like urgency to it, "Imperfect Perfection" has the feel of a James Bond theme from a parallel universe, and "A Message" compares well to Radiohead. And did I mention it was free? Enough blabber, here's the link.